The Secret revealed at last! My most recent "what is it?" 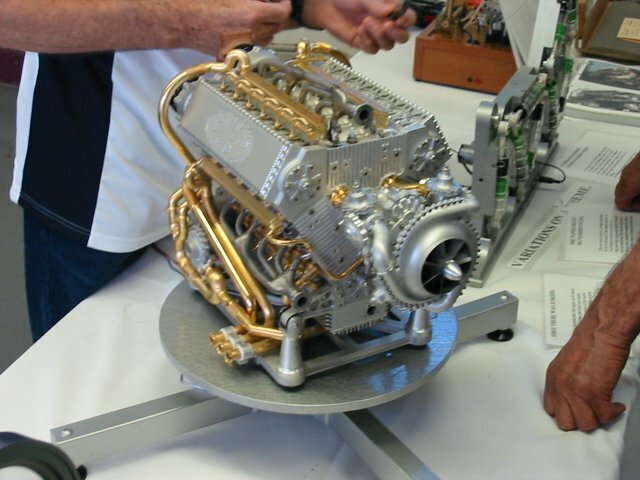 is a scale model "deltic" engine that was under construction when I took the picture at the Prime show in 2001. I didn't see it at the show in 2002, but it wa there this year, in almost completed form. For a good explanation of the "deltic" engine principle, click here. Here are a few pictures of it, and it's builder, Clen. 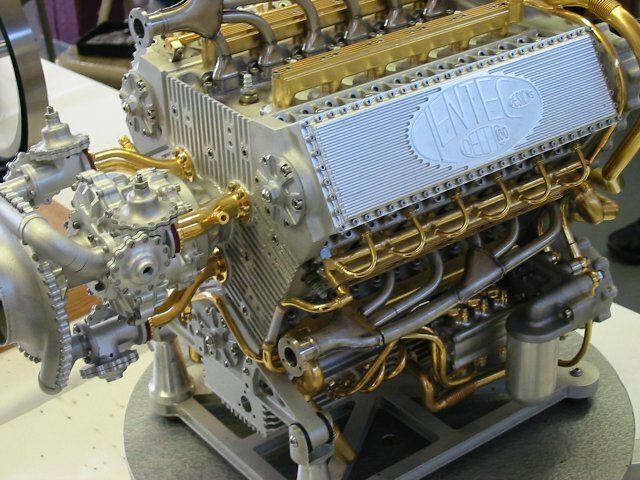 This engine is a work of art! 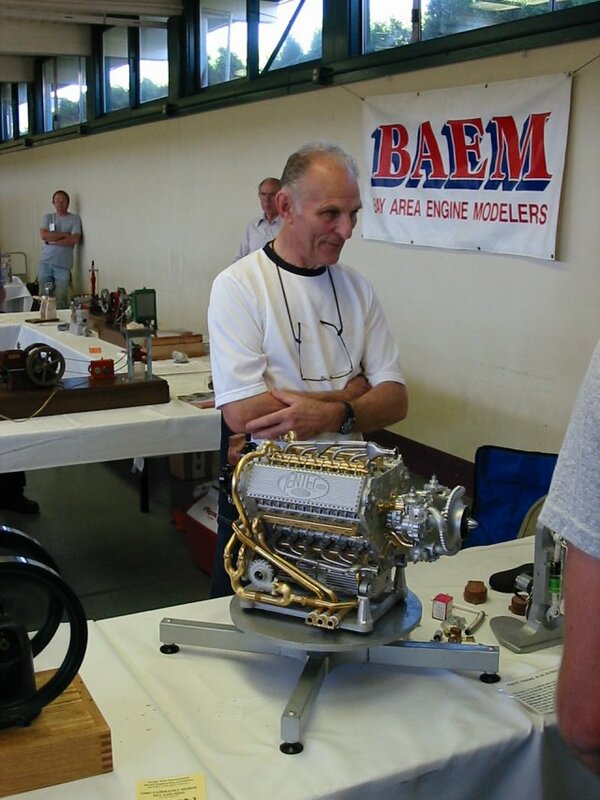 The first picture is Clen with his engine. The second picture is a detail shot of the other side of the engine, and the last picture is a detail view featuring the turbo charger, which has yet to be connected to the exhaust headers. The engine will use spark ignition, and Clen's biggest problem right now is getting an ignition system that works reliably when producing 180,000 sparks per minute. Yes, you read that right. 10,000 rpm times 18 cylinders with a two stroke engine cycle, means 180,000 sparks per minute! Can't wait for next year's show, when he should have it running. What do you suppose that thing will sound like?